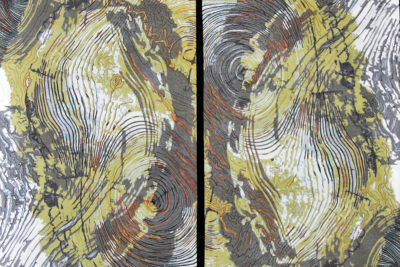 “Line Dance: Tree Ring Patterns,” an exhibit of art quilts by Barbara Schneider, will be on view in the Steinhauer Trust Gallery. Schneider’s quilts are based on enlarged digital images of tree rings. They explore the ring patterns and additional patterns created by overlapping and fragmenting the imagery, allowing the artist to interpret the concept of “tree” in new ways.